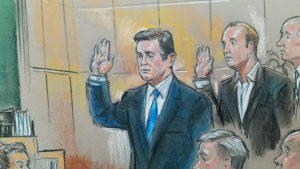 WASHINGTON — Paul Manafort’s plea deal went up in smoke this week. It didn’t even last three months. The former Trump campaign chairman’s cooperation agreement with special counsel Robert Mueller unraveled, prosecutors say, after he repeatedly lied to investigators, an allegation Manafort denies. What does Manafort mean to Mueller?